Los Angeles County’s diverse beaches offer many ways to enjoy family playtime in the sun and surf. Whether you prefer wide, sandy beaches or rocky shores for tide pooling, there’s a beach for you. Keep in mind that some beaches are cleaner than others. Heal the Bay’s annual Beach Report Card measures the level of bacterial pollution at more than 500 California beaches. L.A.’s top 5 cleanest family beaches consistently rank high on the list for water quality. The best part about going to the beach is getting in the water, right? Heal the Bay’s annual beach report card graded Southern California beaches for 2016-17 based on water quality. Beaches from Orange County to Los Angeles are assigned grades A to F. The better the grade, the lower the risk of contracting an illness from water at that location. L.A.’s top five cleanest family beaches range in size and amenities. See which beach fits your family best. Staying 100 yards from storm drains. Avoid enclosed beaches with names like Mother’s Beach. The lack of waves may be reassuring but the lack of circulation creates a breeding ground for bacteria. Pick any spot along The Strand to swim and play on 40 acres of recreational beach space. If you love volleyball, then this is the beach for you. 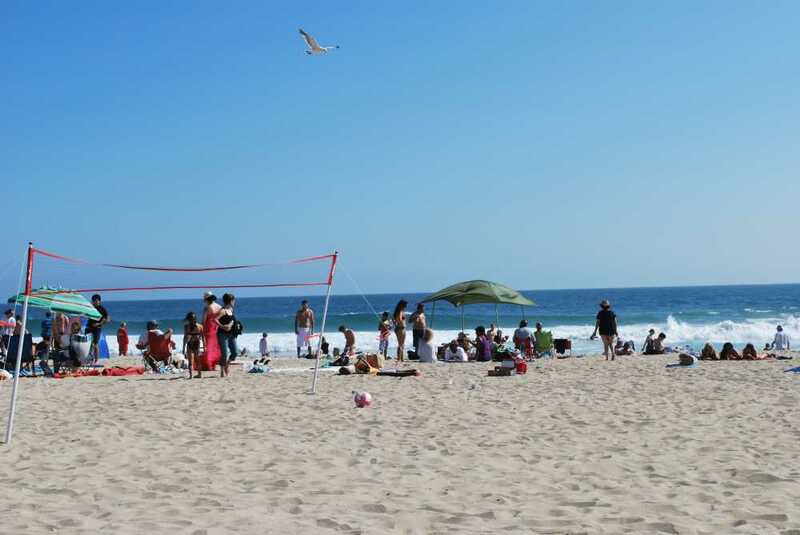 With more than 50 volleyball courts, the beach is considered the volleyball capital of southern California. Things to do with family include swimming and boogie boarding or surfing at El Porto. 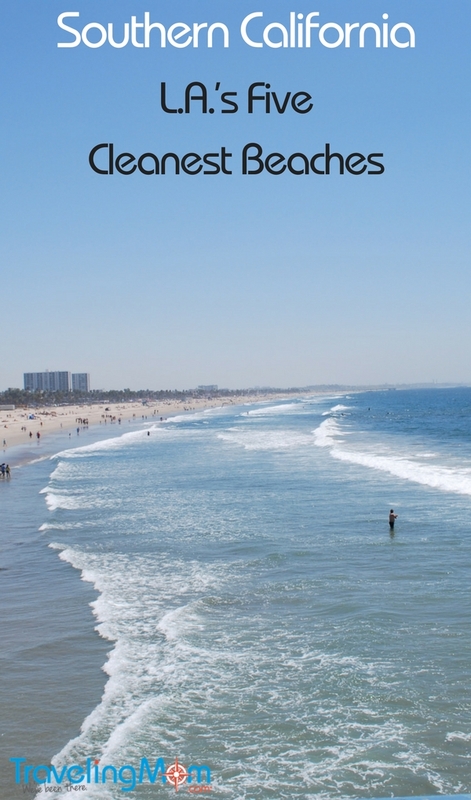 L.A.’s top five cleanest family beaches always include Venice Beach. Portions of Venice Beach get an A+ from Heal the Bay, so feel good about swimming here. More things to do include boogie boarding and surfing. Watch or join surfers at the Venice Breakwater. It’s a popular surf spot located north of the Venice Pier. Lifeguards are on hand during daylight hours. Of course, Venice is also known for its funky vibe, especially on the boardwalk. The Venice Boardwalk is a good place to shop for beach gear and grab a bite to eat. 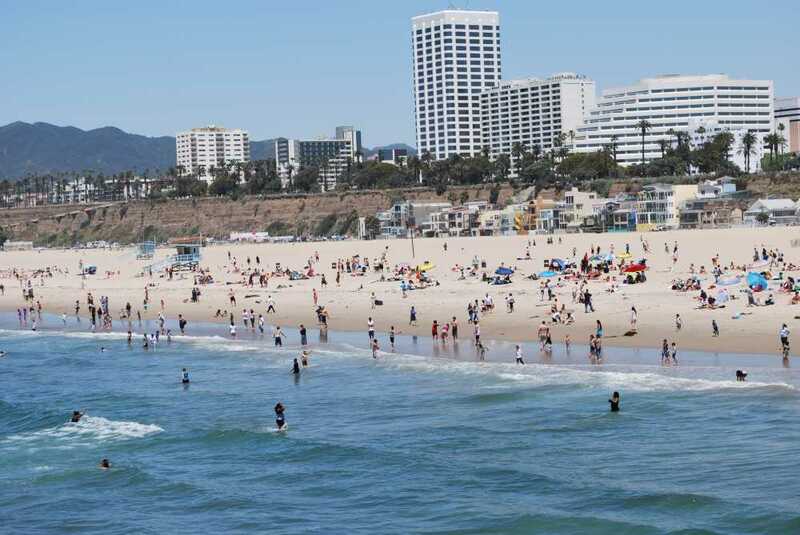 Although Santa Monica beaches get an overall “A” rating, it’s best to avoid swimming near the pier, according to the beach report. In fact, the report gives it a “D.” But don’t let that stop you from visiting Pacific Park’s rides on the pier. If you’re looking for a super-sized, action-packed beach this is the place. The sound of the waves is somewhat muffled from music and people shrieking from the nearby Ferris wheel and roller coasters. But there’s a definite festive ambiance at this iconic California beach. Salty ocean air mixes pleasantly with aromas of grilled burgers and hot dogs. Things to do at the pier include riding on the carousel and visiting the aquarium. It’s also fun to ride a bike on the paved path. Bring your own bike or rent from a shop on the pier. L.A’s top five cleanest family beaches aren’t complete without Zuma. This quintessential California beach also gets an A+ for water quality. With open space and good waves for body surfing, Zuma is among L.A.’s best beaches. Lifeguards and ample parking make this a popular beach with families. To park in the larger lots and get close to food huts, turn right from Pacific Coast Highway (PCH). Make sure you find a place 100 yards away from the Zuma creek outfall. Amenities at Zuma include two food huts serving rather tasty grilled burgers, hot dogs, sandwiches, salads, chips, candy, and drinks. There are also restrooms and outdoor showers (with cold water). TravelingMom Tip: In spring, you get great views of migrating whales at nearby Point Dume. This hidden gem in San Pedro also gets an A+. The rocky shoreline and tide pools are teeming with marine life at this Palos Verdes Peninsula spot. Amenities include a picnic area, restrooms, and showers. A children’s play area and a small park are nestled at the top of the bluff. Check out the view of Catalina Island. What’s your favorite family beach in L.A.?